Envision an ideal place to live or run a business,a friendly,safe and secure community with large areas of open space and extensive entertainment and recretional facilities. Finally, picture this community continually moving around the world. You are beginning to understand the Freedom Ship concept of a massive ocean-going vessel. 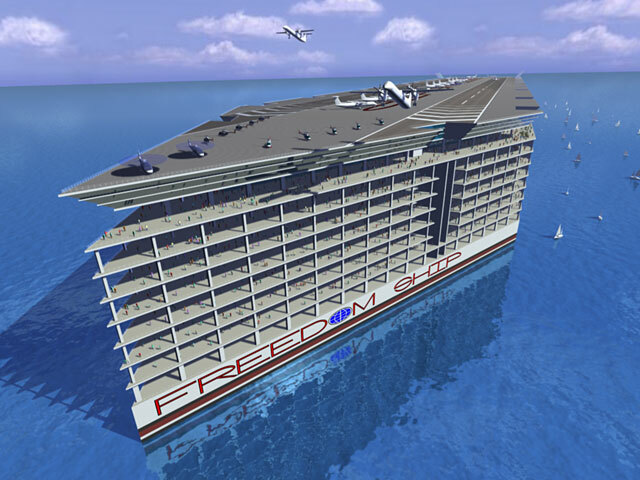 With a design length of 4,500 feet, a width of 750 feet, and a height of 350 feet, Freedom Ship would be more than 4 times longer than the Queen Mary. 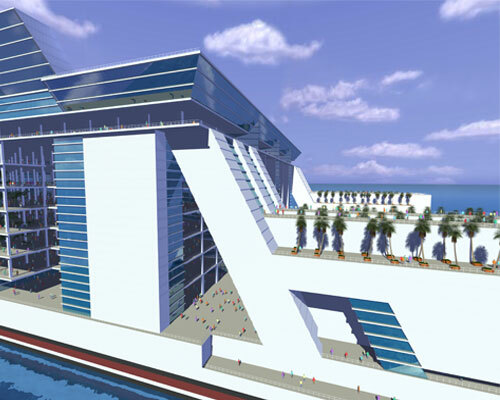 The design concepts include a mobile modern city featuring luxurious living, an extensive duty-free international shopping mall, and a full 1.7 million square foot floor set aside for various companies to showcase their products.